Genetic engineering in agriculture has the potential to improve crop yields and to greatly reduce the risk of crops being lost to extreme weather conditions. 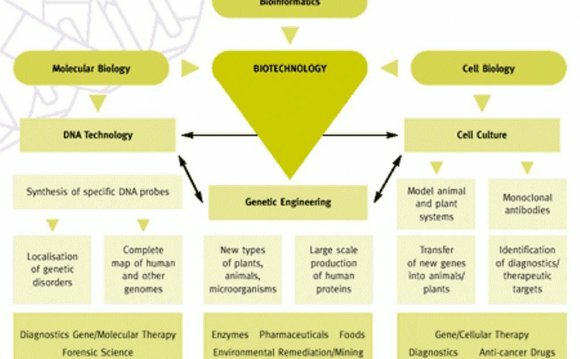 This is the aspect of genetic engineering which has reached the furthest developed stage, with the aspects relating to animals and human genes lagging far behind. There are already commercially available genetically modified foods, although the long term effect of these on the ecology of the planet and even the human body itself remain hard to quantify, leaving many people doubtful as to the wisdom of using them. There are several dimensions of genetic engineering which can be applied to crops and commercial plants, starting with the obvious consideration of making them more resistant against pests and disease. The use of chemicals in agriculture has at least stemmed the advance of pest driven crop waste, but it has done so at a price. Much of the food which is sold on the open market in developed countries has been treated with chemicals, and these leave a residue which will be consumed by the eater of the food. If crops can be produced which are resistant to these chemicals, agriculture could become much safer. The next generation of genetic engineering following this will aim to reduce the threat to crops from natural sources, such as sudden temperature change or extreme drought. In countries which have a temperate climate, it is inevitable that a proportion of the crops grown there will be lost to weather conditions, as the temperature can vary wildly from the average at any given time of year. Growing crops with a greater temperature resistance will improve crop yields, and these crops can also be produced to grow more food per acre in any case. There are also some uses of genetic engineering in agriculture which are not designed to improve the crop yield, but to use the plants in other ways to grow other resources which are needed. The best example of this is vaccines and other drugs, which can be produced from crops grown in fields using genetic engineering. Many of these drugs are inherently expensive to produce an other way, so this technology offers the possibility of cheaper drugs and a greater supply. This could reduce expenses for medical services in countries which have a state medical system, and also allow more supplies to be diverted to the Third World.